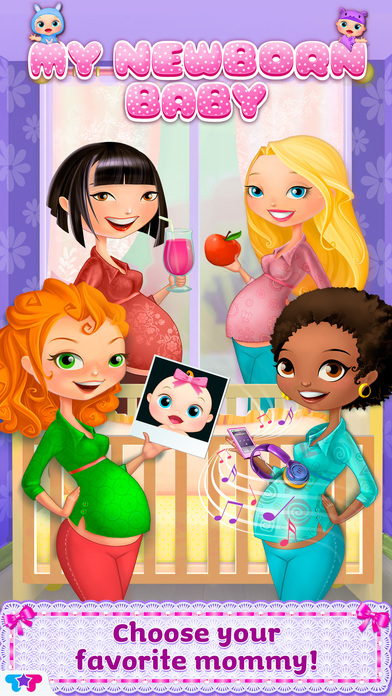 ~~> Join these mommies-to-be on their journey from pregnancy to parenthood in this all- inclusive, full version of our most popular mommy-and-baby app! ~~> Enjoy ALL mommy and baby activities! Give Mommy an ultrasound, decorate the nursery, dress up your baby and SO MUCH MORE! *** NO ADS to disrupt your mommy and baby time! > Decorate your baby's nursery just as you like! TONS of room decorations! > Choose from tons of adorable baby clothing and accessories - pacifiers, dolls and more!